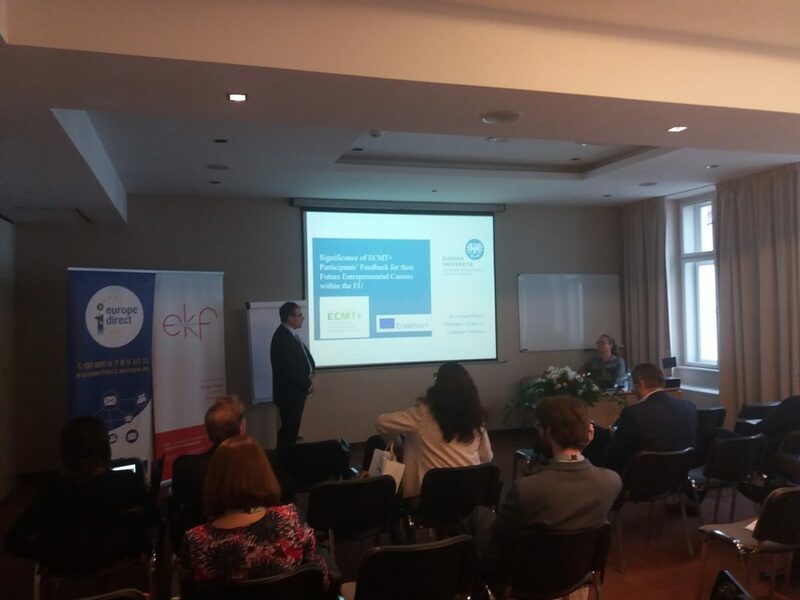 Krystyna Heinz, Martina Chylková and Lubomír Nenička from the Silesian University, School of Business Administration in Karviná, Czech Republic, have written an new article, that was presented at the International Conference on European Integration 2018 (ICEI 2018). The research is related to the analysis of students´ reflective learning journals and essays created during the IP course held in Joensuu, Finland in March 2017. The target group involves 2 teams of participants – the Belgian and the Polish ones. One of the consequences of globalization is the pressure on universities to internationalize and support student mobility for further European cohesion and competitiveness, therefore resources used in teaching should be multidisciplinary, critical, and obviously innovative to help students as future entrepreneurs to be able to cope with market demands on their knowledge, skills, and attitudes from the international perspective. The article introduces a unique Erasmus+ programme developed by the consortium of 7 European universities titled Entrepreneurship and Communication in Multicultural Teams (2016-2019) with the aim to teach students communicate effectively within multicultural teams during a ten-day course while solving and creating case studies being guided by a team of experts from partner institutions and companies. Except for obtaining theoretical and practical issues, students learn about themselves using a reflective method of a self-reflective journal and essay. The goal of the article is to present the outcomes of the comparison of two groups of students to identify students’ opinions to be able to implement the results into further activities within the International Programme and it could help teachers to enhance the curricula at universities. Please find the article here!